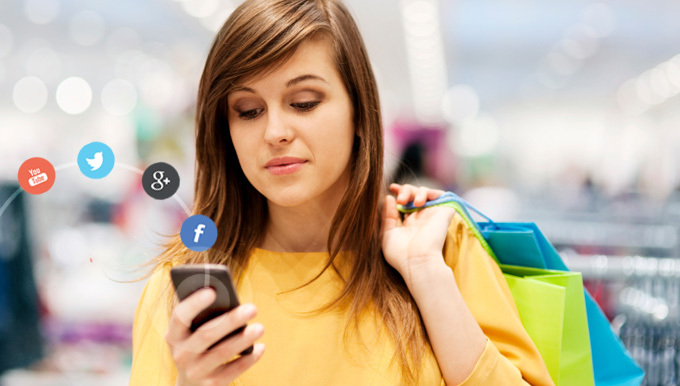 It may seem your social media traffic is constantly driving people to your ecommerce store. So how do you get your followers to get offline and into your retail store? Even though it may seem easier to funnel traffic to your website, it’s possible and valuable to use social media to funnel your followers to your physical store instead. 1. Offer special coupons only redeemable in your store. Let’s say you want to advertise a new product on Twitter. You could offer something like “mention this tweet and get 20% off your next order in store only,” or post an image that people can show your cashier in order to receive a discount. If set up a booth at a tradeshow or get involved at a local festival by walking around handing out free samples or flyers. Start posting images of your business at the event and use those accompanying hashtags. This will greatly increase your visibility and relevance to a target local population, making them far more likely to visit your physical location. When you post text-based updates all day, people start to think that social media is the only place you exist. Break this subconscious illusion by posting real-time pictures of your business on a regular basis. These can be professional shots, framed perfectly to show off your facility, or fun shots that show some of your customers having a good time. It doesn’t matter what type of pictures you take, as long as you take appealing ones. These appealing pictures, posted regularly, will convince your social followers that your physical location is worth going to. Nothing breeds brand loyalty like shares and retweets. If you see a customer post something positive about your physical location, share or retweet it and thank them for their positive feedback. Doing this regularly naturally encourages more feedback from your in-person customers, but also shows you appreciate your physical customers and makes your physical location more visible. Foot traffic is especially valuable for local businesses because it lends itself to more word-of-mouth reviews and greater volumes of recurring visitors. This doesn’t mean you have to stop driving social media traffic to your website as well.